Defamation represents a very complex and demanding area of law, and therefore calls for expert legal advice. Slade Waterhouse Lawyers can provide quality legal advice, assistance and representation for all legal matters related to Defamation. 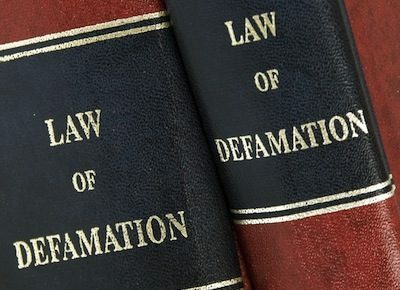 Our defamation lawyers have a good understanding of the law in this very complex area. We can apply this knowledge, along with a wealth of experience, to advising on issues of defamation that arise in print, internet or broadcast media. Our Brisbane lawyers can represent plaintiffs or defendants and we are well placed to do so in Brisbane and Sydney alike. If you need legal advice, assistance or representation for matters related to Defamation, then you need the expert help of Slade Waterhouse Lawyers. For quality legal advice and assistance in matters relating to Defamation call Slade Waterhouse Lawyers in Brisbane on (07) 3839 9834 and find out how our experienced legal team can help you today.